In their latest MySuper Statistics report, the Australian Prudential Regulation Authority (APRA) revealed the net returns of most MySuper funds over the September Quarter. The risk level (high, medium, low) of the fund remains the same throughout its life. It does this by keeping its diversified asset allocation consistent. For example, a medium to high risk fund might always invest with 70% in growth assets (riskier, e.g. shares and property) and 30% in defensive assets (lower risk, e.g. cash and bonds). 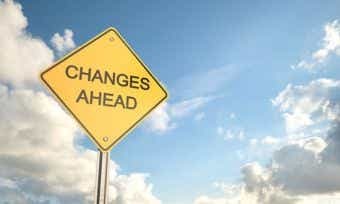 The risk level of the fund changes as the years go by. Typically, the fund will have a high allocation of growth assets when you’re young, but when you’re older it steers your money towards more defensive investments. The general idea behind this strategy is to be more protective of your nest egg when you’re older because you’ll have less time for the fund to bounce back from any downturns such as a stock market crash. But, this strategy isn’t for everyone. Below, we report the top performers of the September Quarter for both of these strategies. Do note, though, that past performance is no guarantee of future performance and shouldn’t be solely relied on as a reason for choosing a super fund. Check Canstar’s superannuation methodology for information on factors that Canstar considers when deciding on funds that represent outstanding value at various life stages. For MySuper funds with a single investment strategy, the average net return of the September Quarter 2016 was 2.87%. Across all lifecycle strategy funds, the average net return of the September Quarter 2016 was 2.33%. Since each MySuper lifecycle product has a handful of different lifecycle funds, instead of displaying the top 10 lifecycle funds below, we’ve displayed the MySuper products that had one or more lifecycle funds achieving a 3% net return or better. Out of 213 lifecycle funds that reported their net returns to APRA, a total of 58 achieved 3% or better. We’ve listed these below. 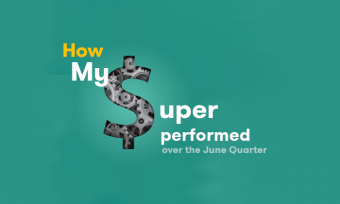 Using the quarterly MySuper returns data, we can compare how the different fund types matched up in performance. Of course, you should never rely on past returns when choosing a superannuation fund. Canstar compares superannuation funds on price and features. Click the button below to get started. You can also check out our snapshot of the current market offerings in the comparison table below. Please note that this table has been sorted by star rating (highest to lowest), and the products featured are based on a policy holder aged between 30 and 39 years, with a super balance of up to $100,000 with links direct to the providers website. Performance information shown is for historical periods up to 31/12/2018 and investment options noted in the product information. Performance figures shown reflect net investment performance, i.e. net of investment tax, investment management fees and the applicable administration fees based on an account balance of $50,000. Performance information is provided by Rainmaker Information Pty Ltd ABN 86 095 610 996 AFSL 461816 (www.rainmaker.com.au) which provides general information on superannuation. Performance data may not be available for some products. This is indicated in the tables by a note referring the user to the product provider, or by no performance information being shown. Performance figures shown reflect net investment performance, i.e. net of investment tax, investment management fees and the applicable administration fees based on an account balance of $50,000. Performance information is provided by Rainmaker Information Pty Ltd ABN 86 095 610 996 AFSL 461816 (www.rainmaker.com.au) which provides general information on superannuation.